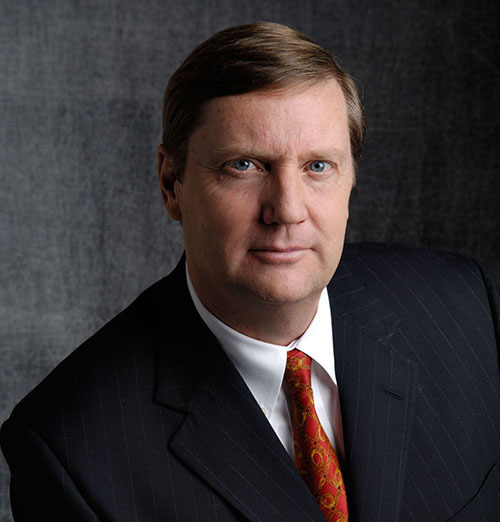 President's Blog - The Pope Cares: Do Investors? The long-argued issue of the fiduciary standard for financial advisors reached its zenith of significance last week. On Thursday last week, Pope Francis declared the need for a universal fiduciary standard for all financial advisors. According to a bulletin released by the Vatican, the Pope wrote “the saving itself, when entrusted in the expert hands of a financial advisor, needs to be administered well, and not just managed.” The Pope went into specifics of how financial advisors should handle client portfolios. It was a remarkable statement about the conduct of financial advisory professionals from the titular head of the Catholic Church. So anyone who believes the conversation about the fiduciary standard is a waste of time needs to rethink their position. You would be arguing against the Pope. You would also be arguing against affluent investors, who value the concept of a fiduciary standard, even if they don’t all understand what the term means. For several years, The Department of Labor has tried to implement a Fiduciary Rule, which would have regulated investment advisors, brokers and service providers who service individual retirement accounts and other retirement plans and products, holding those individuals to the fiduciary standard of serving in the best interests of the client. The implementation has been met with numerous delays, restructuring and redefining, and currently, a transition period has been expended to June of 2019, with no real certainty that the rule will be in solid footing even at that time. The continued changes in the SEC and DOL positions regarding the implementation of the rule and the types of advisors who would be affected has disrupted providers who are required to give guidance to the advisors who work for them. If the government can not issue certain guidelines and cement them into law, how are providers supposed to know how to respond, and train their advisors? The Pope’s declaration adds credence to the concept of a fiduciary standard, but no one really argues against the value of a fiduciary standard to investors who rely on advisors for the management of their all-important retirement accounts. 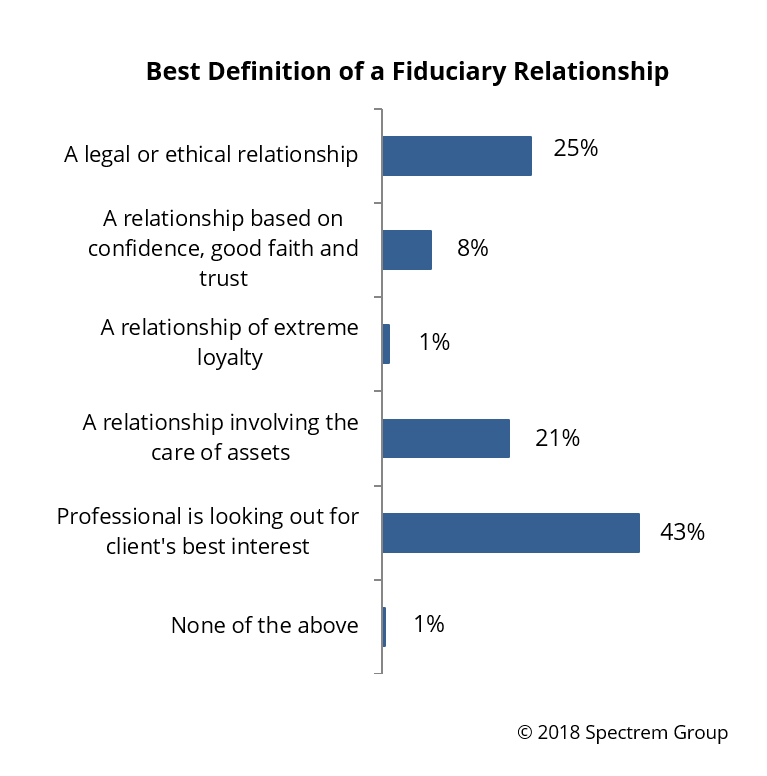 According to Spectrem’s study Advisor Relationships and Changing Advice Requirements, 87 percent of Ultra High Net Worth investors with a net worth of at least $5 million claim they know what a fiduciary is. 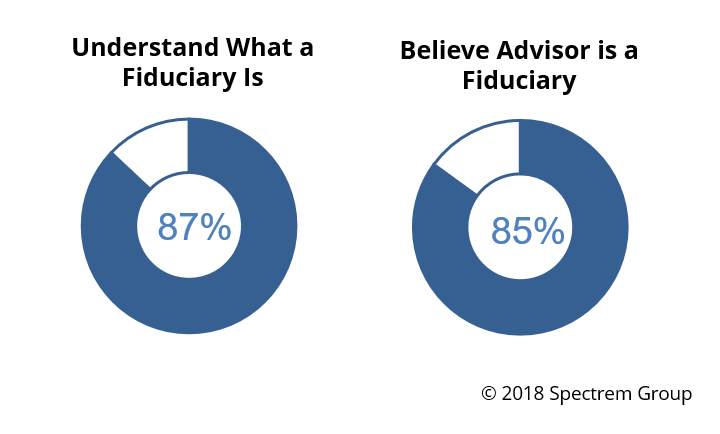 Eighty-five percent of those investors believe their advisor is a fiduciary. However, from five different suggested definitions, only 43 percent of those investors knew that a fiduciary is “a professional looking out for the client’s best interest.” Twenty-five percent thought a fiduciary was a legal or ethical relationship, which is not the correct definition. So, investors aren’t certain what a fiduciary is. The government is having difficulty implementing a regulation to define who must function as a fiduciary when dealing with retirement accounts of clients. Providers are interpreting SEC and DOL tea leaves in an attempt to see which direction the entire conversation is going on a federal level, and when it might be settled. But the good news is the Pope has weighed in. That should solve the conflict for everyone. Perhaps the Pope can provide a definition of a “catch’’ in the National Football League next.